When you stand at the top of Lone Mountain in Big Sky, Montana it feels like you're standing amongst a sea of mountains. Each year these endless mountain ranges get covered in a beautiful blanket of snow. As the snow begins to melt in the Spring and Summer, it flows downhill into creeks and streams until the runoff meets the mighty rivers of Big Sky Country. Southwest Montana is home to an intricate network of wild rivers that flow out of the vast mountain ranges and ultimately into the Missouri and onwards to the Mississippi and the into the Gulf of Mexico. Eventually, some of those minuscule droplets of water will be back in Montana in the form of snow and the hydrologic cycle will start all over again. Isn't nature neat? But in the meantime, the rivers of Big Sky Country flow through some of the most pristine and most scenic regions of the United States. The number of rivers in SW Montana is amazing. They are all in close proximity, which makes them easy to access in a simple day trip when you stay in Big Sky, Montana. For the outdoor recreationist, this is ideal. Whether you want to float, fish, or raft, there are numerous options to choose from. Add in the fact that each river is totally unique in its own way, it really does become an endless playground. Plus when you consider that each and every river has its own conditions and weather patterns, you'll soon realize that every day spent on the rivers of Big Sky Country is a good day. The only question left is which of the rivers of Big Sky Country do you plan to explore first? As you can see there are plenty of options. Take your pick. All of the rivers near Big Sky are spectacular in their own way. 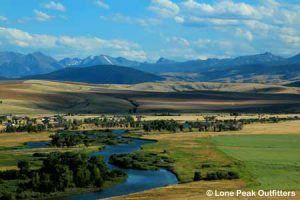 It doesn't matter if you live in Big Sky or you visit Big Sky, the year-round recreation potential on the rivers in this small corner of Montana are world class. Looking for more information or specific details about the rivers of Big Sky Country? BigSkyFishing.com and MontanaAngler.com are fantastic online resources about the rivers of Montana. 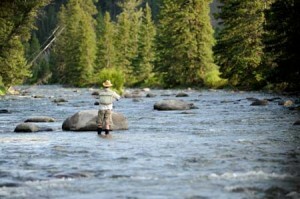 Alternatively, contact the fly fishing shops or guides in the Big Sky area. These local pros know the rivers better than anyone. See you out there!